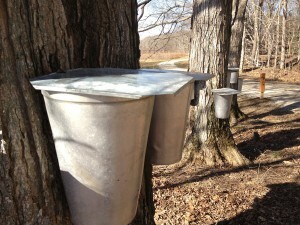 Maple syrup or maple sirup? I can&apos;t say it is an age-old question, but that distinction finally did catch my eye this year regarding an upcoming annual festival in Hendricks County thanks to one of my fellow bloggers Eric Ivie and his post about upcoming Hendricks County Parks programs. Last year, in this space I wrote a similar preview about an amazing, educational, family-friendly festival held each year at McCloud Nature Park called Maple Syrup Days; or is it Maple Sirup Days? Well, I figured in this 2013 preview, I would get to the bottom of that quandary. Evidently, Hendricks County Parks has used the more uncommon spelling of Maple Sirup Days since the festival&apos;s inception. Somehow, that little fact got past my trained eye, which if you were to ask my wife isn&apos;t any great surprise. "Sirup" is the old-fashioned way of spelling the word referring to the pure way of making the liquid with no sugar added. Today, most of the maple syrup you find in a grocery store is the processed version with sugar and preservatives added to give it a longer shelf life and the slightly different name that has become more common. Regardless of how it is spelled, this is one event that is well worth the trip to rural North Salem, Indiana. The free, two-weekend festival is truly something the entire family should experience. Filled with demonstrations and interactive exhibits, this event showcases maple-sirup making from beginning to end including how the maple trees are tapped and the sap is collected to the cooking process that turns that sap into an edible treat. The park will host Maple Sirup Days — Feb. 23-24 and March 2-3 — in Hendricks County at McCloud Nature Park, 8518 N. Hughes Road. The popular Maple Sirup Days Pancake Breakfast Fundraiser also returns with hourly spots available from 8 a.m. to 3 p.m. March 2 and 10 a.m. to 3 p.m. March 3. Reservations are required by calling the park office, (317) 718-6188. 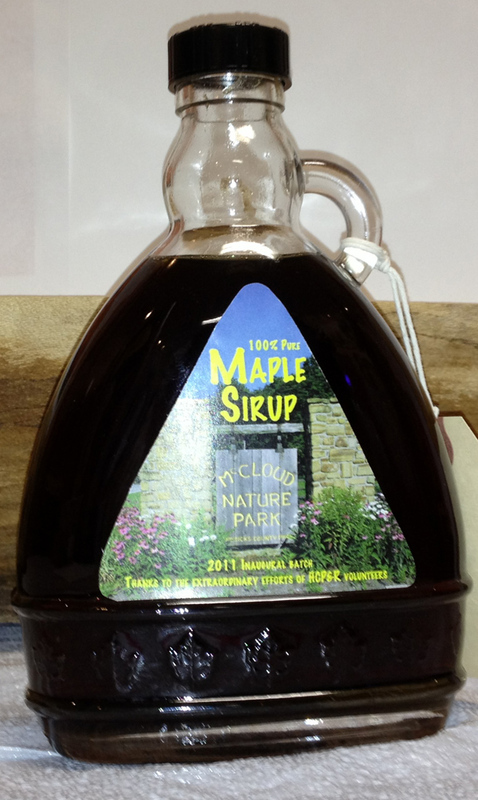 A freewill offering will be requested, and yes, the star of that show will be McCloud’s 100 percent natural maple sirup. My colleague, Sarah McMillen, and I visited McCloud prior to last year&apos;s event to gain some insight from Rick Martin, a volunteer who has headed up this program since its inception. We even shot some video of Rick showing us some of the techniques including teaching Sarah how to tap a tree. [youtube]http://www.youtube.com/watch?v=t9YcGKLRgSE&list=UU8x_r855M4mdwKchMOG5J1w&index=17[/youtube] He and other Hendricks County Park volunteers and staff will again provide 30- to 45-minute presentations for visitors during Maple Sirup Days. The free event is particularly wonderful for families as participants go on a journey through the history and techniques used to make this sweet treat. For those who may have attended previously, the staff and volunteers do a great job of adding a few new touches each year. The real interesting part for me is how long people have been making maple sirup and how it has been passed from generation to generation. It actually predates early American settlers who learned the technique from the American Indians. So head on out during one of the two weekends. As a reader of All Access Hendricks County, you can even drop some knowledge on them about the difference between syrup and sirup.